Slinfold Concert Band has been booked to play at a wedding reception. We will be providing musical entertainment whilst the guests arrive at the reception venue and before the wedding meal. 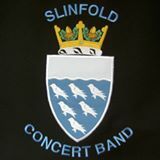 If you'd like Slinfold Concert Band to play at your wedding then please visit our page Book the Band for more details.